My new Practical Energy Work course is launching today. It’s been about 6 years in the making … taking up where my last meta-physical type courses left off. I took a hiatus of sorts because I was going through a deep learning and immersion phase in my own development … as an energetically sensitive human being and as a Process Professional. I get into all that in the course and also share what I’ve learned along the way. One thing that has been constant throughout the whole trajectory of my development, starting back in the mid 1990s, has been ‘Visioning’. 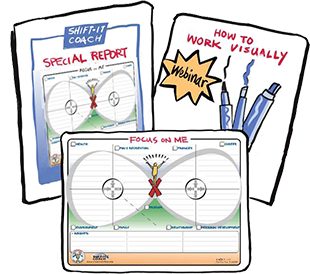 As many of you know, I began my career in Process Work as a Graphic Recorder in corporate settings. Then branched into Facilitation, Coaching and then Energy Work from there. A gradual progression that has unfolded step-by-step over the years. In my left-brain business career, I have drawn out many History Maps, Vision Maps and Actions Plans of various companies, governmental agencies, departments and the like. And in my more right-brain coaching work, I have drawn out many Life Maps, Visions and Plans for individuals, couples and partners. 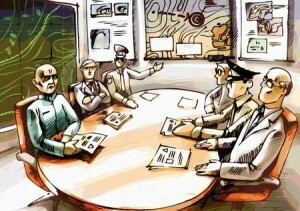 Visioning, especially when you add the extra visual layer, is very powerful. It’s not always easy to get groups aligned on a shared, desired future. And neither is it always easy to get an individual aligned. Both groups and individuals often have conflicting parts and energies within that want differing things or have worries, concerns and resistance to changing the status quo. However, when you stick with it and go through the needed group process (when possible) to reach a shared consensus and alignment about what it is desired its very gratifying work which pays off in shifts, changes and results for the client. Visioning works and it’s a very powerful force. Given Visioning is so powerful, over time I began to contemplate and even worry about who does visioning and what it is being applied towards. In companies, it’s being applied towards what their business is about – be it a financial institution, pharmaceutical manufacturer, oil and gas provider, technology outfit, etc. Same goes for governmental agencies — agriculture, defense, housing, etc. For individuals the focus can be on business or career and/or also on their life overall. Often its ‘me’ coaching … i.e. they focus on what they want to change and better in spheres that they have creative control over. Sometimes it’s ‘we’ coaching … i.e. they focus on areas that they share co-creation power with others (spouses, partners, children, siblings, parents, friends, co-workers, etc.). One level that unfortunately rarely gets discussed, with public groups or individuals anyways, is planetary or global visioning. Only on rare occasions have clients ever wanted to focus on the planet or humanity overall. And unfortunately even then the focus was of a negative orientation … i.e. globalism, environmental degradation, female suppression, etc. I have been getting kinda obsessed with the really BIG PICTURE. With our planet, at large. With humanity, at large. With where we as a species place our focus. And the direction we are taking or not. We are standing at a very important crossroads and I personally hope we co-choose a viable path as the stakes are HUGE and could impact our very existence. I know from my experience with Visioning that it is only effective if one focuses on what one DOES desire not on what one DOESN’T. We human beings often get our focus (which is such a powerful commodity) stalled out on what we don’t want as opposed to flipping that onto what we do. And, when we consider really big Visioning, on large topics that involve lots of complexity … I’ve noticed that other things happen too. 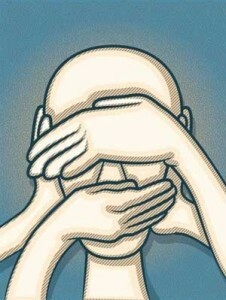 Either people allow a censoring to take hold or they succumb to negative feelings like overwhelm, worry and grief. Both of which stop them from doing the actual Visioning! I find the censoring interesting. Just when we really, really need to focus in a direct, positive way, because the stakes are SO HIGH that a social conditioning or ridicule of sorts kicks in. People often feel silly and stupid spending any amount of time looking or speaking from an aspirational, positive place (which Visioning is all about) on big topics that really matter. Instead, they feel they ‘have to be realistic’. That focusing positively on such gnarly issues is silly, childish or delusional. Or is simply a waste of time. Alternatively, because the stakes are so high and the current situation seems so lacking, people can also be sent into feelings of overwhelm, sadness and grief. They succumb to lower emotions rather than allow themselves (and our collective planet) the gift of dreaming positively. In energy terms, this is allowing the unhealthy aspects of the lower chakras (one/root, two/sacral and three/solar plexus) to run the show. We aren’t in our power when we get stuck in the unhealthy aspects of these lower energy centers. We need to go to the fourth chakra to connect with our hearts which Visioning allows us to do if we can just let ourselves go there! 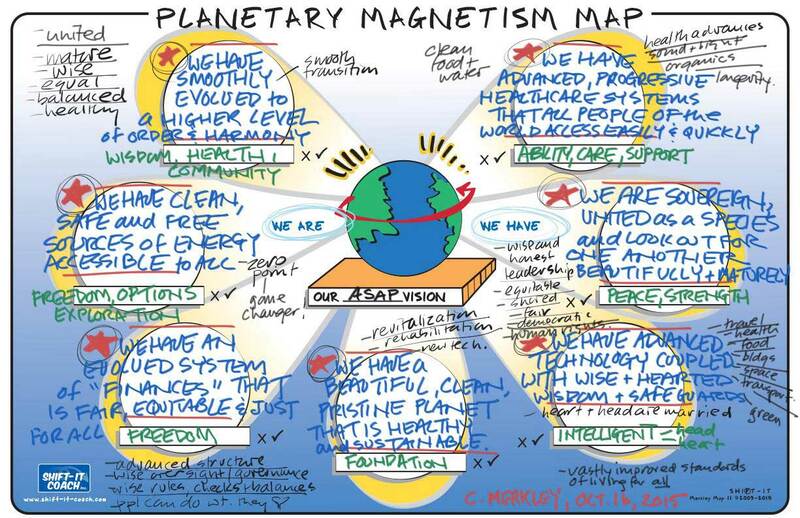 For the new Practical Energy Work course I’ve created a new graphic tool called the Planetary Magnetism Map. This tool is a simple map to help us do positive visioning about our collective planet. I’m sharing it here in the eZine with my full eZine readership (5000+ people) and on the blog because I think/feel this is a really important tool … and it would be wonderful to have as many people as possible complete their own versions of it. 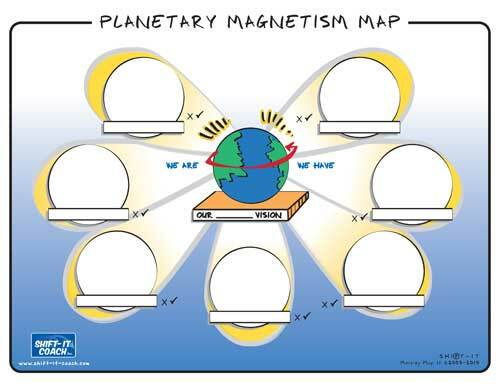 Below are instructions to download and complete the Planetary Magnetism Map. 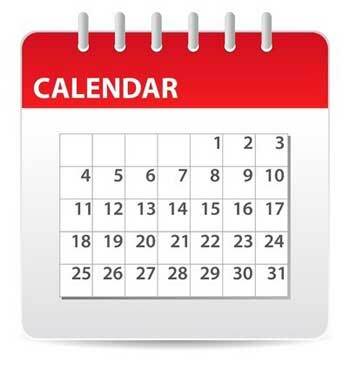 Timeframes are a little tricky. If you want, you can place a timeframe on your Vision. In essence, this is the amount of time that your Vision for the planet will have taken place in. By the time this date rolls around, the things in your Vision will have manifested. 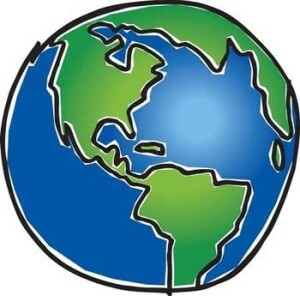 If you want to place a timeframe on your Vision, then just use the little box under the globe. Our ____ Vision. For example: Our 2025 Vision. Alternatively, for some people, placing a timeframe on your Vision just complicates things and can interfere with your ability to believe/allow (as it gets the left brain into a right brain exercise). If this is the case, then just skip inserting a defined date and put “ASAP” or “In the perfect and right timing”. Pretend you have a magic pen or marker (whatever you are using to fill in the map). And, when you use that pen, anything that you write down comes instantly into being. Begin on a separate piece of paper to brainstorm what you personally would like to happen on our planet by the timeframe you have listed. 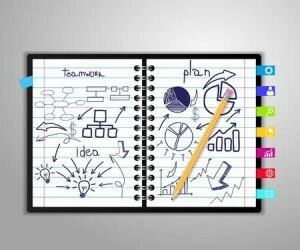 Brainstorm a page full of answers then cluster into common themes or determine your top 7 areas. These will transfer onto your Planetary Magnetism Map. 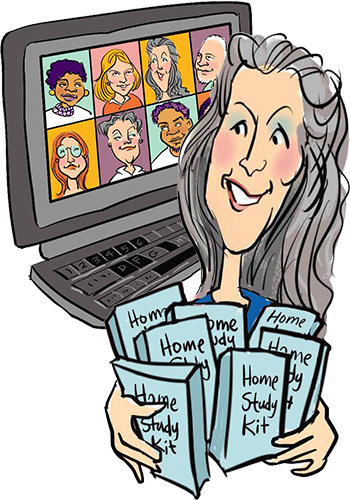 Once you’ve determined the seven areas of your vision (can be less, can be more), write summary statements in present tense language and be as specific as possible. Normally this means beginning your statement with “We Have” or “We Are”. If you find that when you get very specific about what you want that your mood changes (i.e. 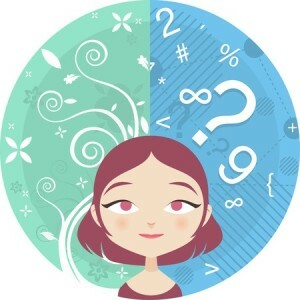 you become doubtful, worried or skeptical) … then pull back on the specificity and write a more general statement … wordsmith until you find the right level for you. It just a sign that you have bumped into your resistance and need to back off a bit or reword it. Or just push that resistance aside and write what you were thinking anyways. Here’s my own Planetary Visioning, offered just as an example for wording/focus, etc. What you write might be quite different from what I write, and that is totally fine. Somewhere on your Map write today’s date on it. As it will be interesting for you to return to this map in the future. Writing the date on it now will help you in the future remember when you created it. You may also find that you want to do several iterations of this map over time, as you refine your thoughts about what you desire for our shared planet or certain events happen in our world which prompt you to consciously focus your visionary abilities towards what you/we do want (and away from what you/we don’t). Visions can take time to manifest, especially if you’ve chosen a longer time frame or have layers of resistance or mixed beliefs. And especially when we are working on something that is a large co-creation project like a planet! Take heart that visioning is a lot like gardening. You plant a seed, water, wait and weed — with a ‘but of course’ attitude. 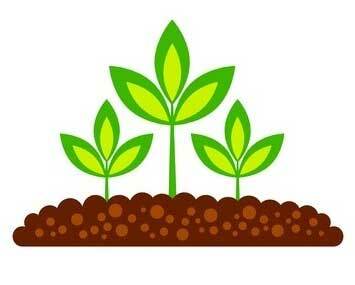 Of course the seed will sprout and eventually mature … that is just the way nature does it. In gardening, it is counter-productive to dig up something you’ve just planted. The same goes for visioning. Don’t pick at your Vision. Trust it and let it be. Don’t get frustrated when it doesn’t instantly materialize. Know that everything has a natural incubation process. And, take whatever actions you are personally guided to take. 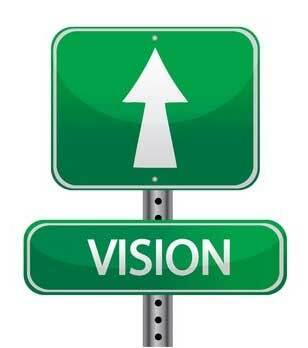 As guidance about action will often quickly follow fast on the heels of Visioning work! Feel free to share The Planetary Magnetism Map far and wide, including using in your own practice if you are a Process Professional. I’d also encourage you to share this article and map on your own blogs and social media to help get the word out about it. Also, be generous and brave – share your own completed maps with your family, friend and larger communities. The more of us who do this will help break down the social conditioning that visioning at this high level is silly or stupid. It’s the opposite – it’s good-feeling, smart and even revolutionary! P.S. Prior article on Personal Visioning with the original Magnetism Map here. P.P.S There is a Couple’s Magnetism Map here. P.P.P.S. Info on the new Practical Energy Work online course is here.